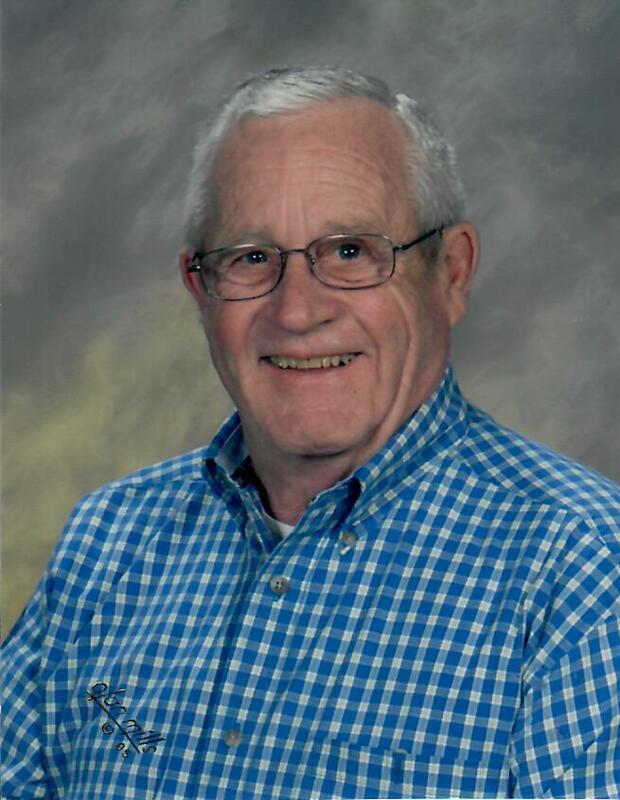 Robert Kenneth Burns died at home April 14, 2019 with family by his side. Bob was born September 5, 1937 in Helena to Kenneth R. and Dorothy (Gonser) Burns. He grew up in Wolf Creek working with his family running the Wolf Creek store and on their chicken farm supplying eggs and fryers to the Helena Valley. Bob leaves behind that prettiest girl, his wife of nearly 58 years, Billie Jean; son Rowdy (Tami) and grandsons Challis Nace and Dakota Singh; son Brad (Charity Watt) and granddaughters Misty (Casey Stevens) and Lindsay (Isaac Clark); daughter Jodi (Mike Roberts) and granddaughters Amanda (Jack Evans) and Allie; great grandchildren Rhys and Ava Clark, Avery Jo Stevens, and Carson Evans; brother-in-law Joe Applegate (Sharon); and a close circle of nieces, nephews, cousins, and friends. Bob is preceded in death by his parents; infant sister, Georgia Lynn; and father- and mother-in-law William and May Applegate. In lieu of flowers, the family asks donations be made to Lewis & Clark County 4-H, 100 W Custer Lewis & Clark County Fairgrounds Helena, MT 59602, Powell County 4-H, 409 Missouri Ave., Suite 102 Deer Lodge, MT 59722, or Shriner’s Hospital for Children, c/o Algeria Shrine Temple, PO Box 4879, Helena, MT 59604. They also suggest enjoying some apple pie with a slice of cheese. A memorial service will be held at 2:30 p.m., Wednesday, April 24, 2019 at the First Presbyterian Church, 535 N. Ewing Street, in Helena. A reception will follow the service in the fellowship hall of the church. Please below to offer the family a condolence or share a memory of Bob. My sincere condolences, Bob was a super nice guy with an infectious laugh. I am sorry i won’t be able to attain the services. my thoughts and prayers with all of you. My warmest regards Bob was a great warm hearted guy. It is my privilege to have met and hunted with Bob. Bob was a great cook and friend. My heart is heavy with sorrow. We are greatly deminished as a family. BJ, I am so sorry to hear of your loss. You and your family are in my prayers and thoughts. Please call me if you need anything or just want to get out for a bit. Let’s get together soon. My heart felt sympathy to the family and friends of Bobby. I knew him just a little yet the loss is great. He was, is and always will be a legend of times spent in the mountains. a good shot and always a straight shooter. I sure will miss that smile he was so generous with. My condolences go out to the family of this good man. BJ, Rowdy, Brad and Jodi – I’m so sorry to hear of Bob’s passing. I recall so many fun times had at the Burns house and even though I didn’t have any 4-H livestock, you all welcomed me in and made me an “honorary” member. Hold tight to the memories as those are the things we can keep forever. Love and prayers to you and your entire family. BJ, Rowdy, Brad, Jodi –So sorry to hear of Bob’s passing. He was so helpful and kind in dealing with us in 4-H, and wherever else we met. Our love and prayers are with you. Sending love to Bob’s family. I will always cherish my great memories of my days spent with Bob, BJ and Jodi at their Glass Dr. home. He taught me how to be a bit of a farm/ranch girl! He was an amazing man with the best smile. We will miss Bob, such a kind and thought man and the best hunting camp cook around! Its an admirable talent to bake pies and perfect a turkey dinner on a wood stove the way he did:) (and the sour dough pancakes). But always with a kind smile and lots of laughs. Sorry to hear of the loss of Bob. It was a pleasure to know him and work with him at the 4-H when I was younger. BJ and family. Sorry to hear of Bob’s passing. We’ll miss his quick wit and infectious smile. Our thoughts are with you. Thinking of you and your family, BJ. You have wonderful memories and they will comfort you during this difficult time. BJ, Rowdy, Brad, & Jody—-Vicki and I are so sorry for your loss. I was blessed, when Bob left the telephone company, and joined me at Farm Bureau Ins. He took a huge financial risk in doing so, but wanted the time flexibility to watch his kids participate in sports—and that he did—he hardly missed a practice, let alone a game. We had the best of times together—I will always remember the BBQ’s at your home, the gathering at Sealy Lake, and our trip to Florida. Bob was there for me during the toughest days of my life. I could never repay him for all support he gave me, when I lost my daughters. I will picture him wearing a Bobcat hat, his pipe in one hand, and laughing—such a wonderful, happy laugh. God bless you Bob, see you soon, just not yet. I’ll never forget the great times we had at hunting camp and enjoying the great meals that Bob Burns cooked. Those memories will last forever and will be hard to duplicate. Rowdy, Brady, Jodi and BJ – I am sorry for your loss. We will be thinking of you. God Bless you! Our thoughts and prayers are with you BJ, Rowdy, Brad & Jodi. We have such fond memories of Bob. He was genuinely one of a kind. His time was given so generously without a second thought! He will be missed by all who knew him. I’m saddened to hear of Bob’s passing. I am of course reminded of that summer of 1972 when Bob and Billie Jean allowed me to bunk at their place while I interned up at the Capitol. I will be forever grateful for your kind contribution to my education. Not only did board and room but I learned quite a lot about life on the farm and we had a lot of fun to boot. Clearly, Bob had a life well lived. Peace be with all of you. I was so sad to read of Bob’s passing. I loved him and his million dollar smile. May happy memories uphold you as you transition to life without him here among his family. Knowing he now is waiting in heaven for you all to join him is such a blessing. Hugs to all. Bob was a really great guy. I have great memories of him standing by and working the scales at the fair grounds every year weighing the livestock. He will be missed. My thoughts and prayers are with the family of such a nice man. He is having fun and sharing stories now with all his buddies who arrived ahead of him. Blessings and grace to you. Jim and I are so sorry for your loss. Bob was a great guy and helped so many people throughout his life. He was funny, always had a smile and a story. He will be missed. God Bless and remember the memories you have are precious. As Bob’s Chicago cousin, I am grateful to have had so much time with him – particularly the two summers I lived with him and his parents Dottie and Ken in Wolf Creek. I also am grateful to have seen Bob and Dottie and Ken, and later Bob and his wife Billie Jean, and eventually also their kids Rowdy, Brad, and Jodi, at our family cabin in Seeley Lake. Even last summer Bob and B.J., with their daughter Jodi, traveled up to our Seeley cabin for a short time. Bob was in his cups, but he still managed to sit next to to me on our cabin porch with his arm around my shoulder. Just like old times.